The Toyota Etios has been around for almost five years now and has just received a thorough makeover to keep it relevant in today's times. 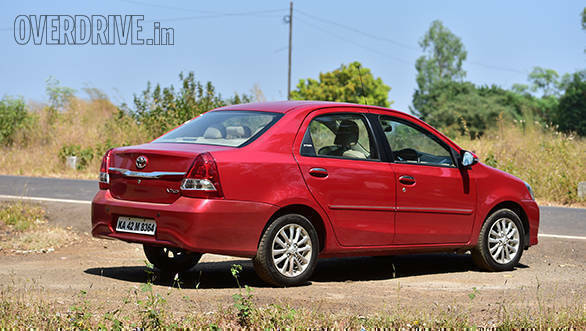 Back in the day the Etios was pegged as a car that's built to suit the needs of the typical Indian family. There's plenty of space, it comes with a reliable set of engines and carries Toyota's promise of reliability. The car did sell well initially, however, that was only upto the point when the competition (read Maruti Suzuki Dzire) caught up with it and has clearly moved the game forward. The Etios continues to do well in the fleet cab market but Toyota has now got the Platinum Etios to woo the personal car buyer. It gets a new face, a few tweaks to the interiors and wears some chrome too. But, does all of this make it a desirable sedan now? A few years ago, my father and I were in the market for a mid-size sedan and we walked into a Toyota showroom to check out the Etios. A major turn-off then, was the plain Jane styling and that grille which gave the car a silly looking grin. Needless to say, we weren't impressed. However, the new Platinum Etios did manage to hold my attention. The car looks all grown up now. The new grille is bigger and lends the car with a mature looking face. The bumper is new and wider while the fog-lamps are now bigger and more effective than the previous car. The blacked out areas and the faux carbon fiber effect around the air dam are neat touches that lends the new Etios with a distinct face. Thank god they've dumped the previous grille. The side profile remains unchanged, except for the chrome on the side strips and the door handles. At the rear the new Etios gets a larger and curvier bumper. There's a thick chrome strip with red reflectors that runs along the length of the boot. It manages to highlight the width of the boot. I personally feel it does look a bit fat at the rear but the advantage lies in the cavernous 592 litre boot space. It's among the largest in the class and therein lies the car's biggest USP. 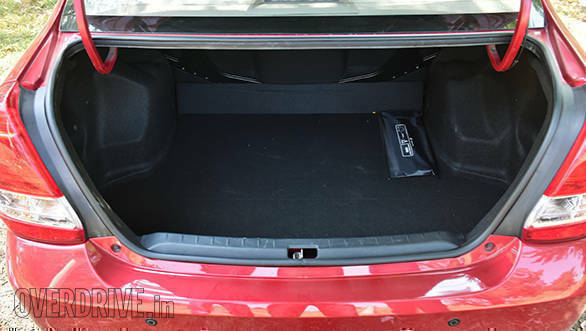 Also, the rear seats fold in order to carry long objects. The interior layout remains the same, however, the plastic quality has improved. The surfaces feel soft to touch and the cabin no longer feels cheap. 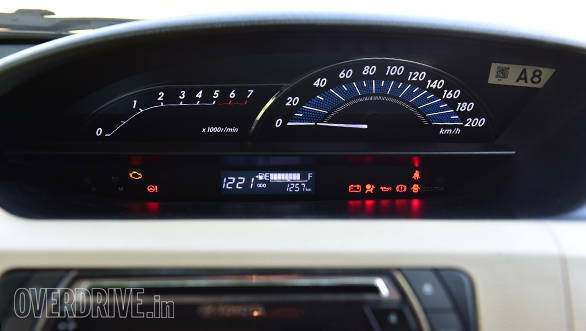 The centrally mounted instrument cluster is now an optitron meter with a digital tachometer and an anlouge tachometer. 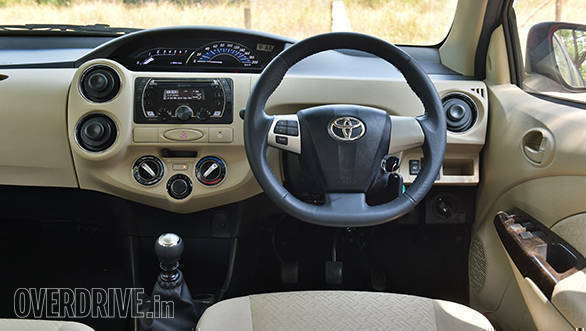 It looks much better than the basic cluster that was present in the previous Etios. While the cluster has readouts for fuel, odo, two trip metres, and the usual tell-tale lights I wish Toyota would have thrown in average and instantaneous fuel consumption readouts too. The music system in the new car is a big disappointment. The head unit looks like it belongs to an entry spec hatchback and so do the tinny speakers. It sounds like an aftermarket unit and I feel Toyota could have sourced a better system. It could have also introduced a touch screen infotainment system instead, given the segment and competition it positions the sedan in. 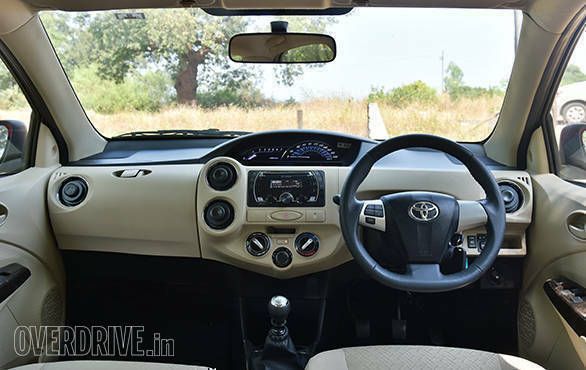 But what the Etios may lack in equipment is made up by the spaciousness of the cabin. This is easily one of the most spacious cabins across segments and the use of beige around the dashboard, door pads and seats adds to the sense of space in the car. At 2,550 mm the wheelbase is long enough to liberate generous knee room, even for six footers. 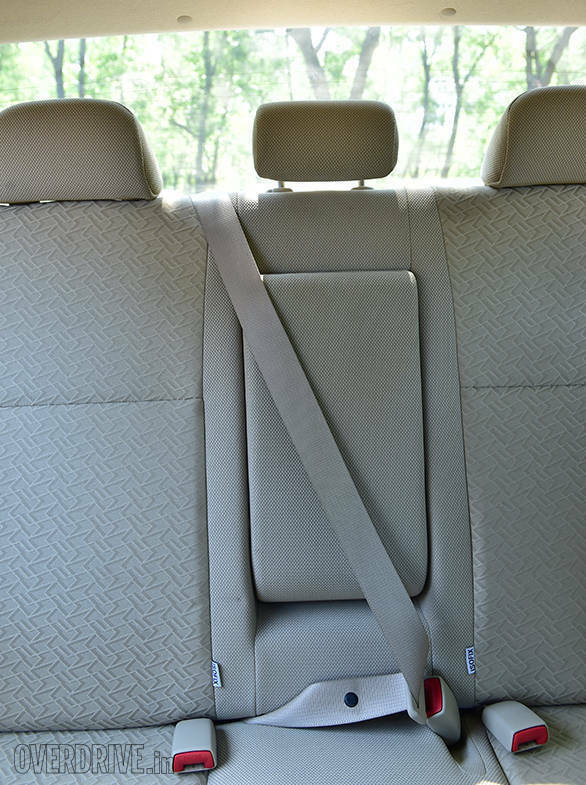 The seats up front are very comfortable and offers adequate back and under thigh support which goes a long way in keeping fatigue at a minimum on long drives. The rear bench is wide and can easily accommodate three adults without them having to rub shoulders. 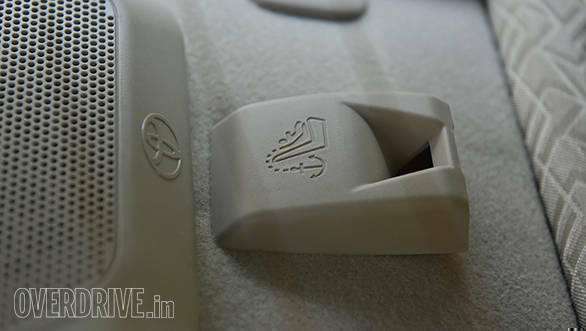 Toyota has also incorporated a centre armrest that folds flush into the backrest. This explains the slight drop in boot space, from 595 to 592 liters. 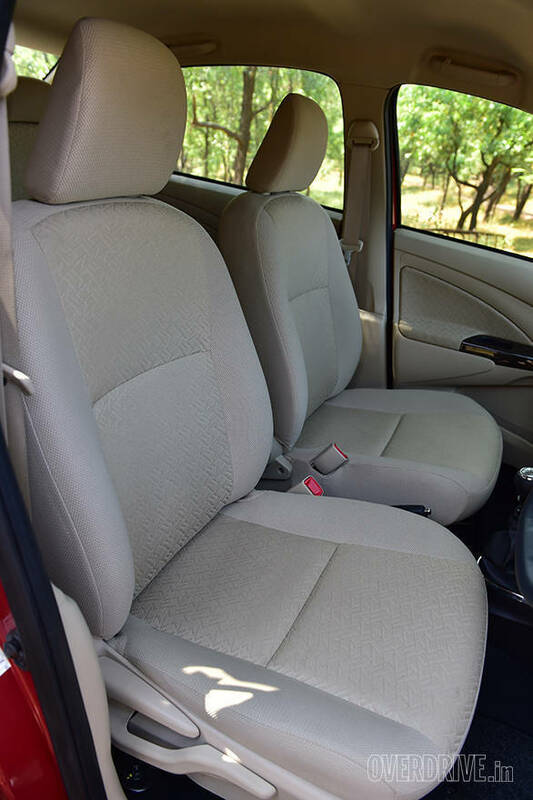 As a chauffeur driven car, the Etios does have one of the best rear seats in the business. I liked the chunky, flat-bottomed steering wheel. It feels good to hold and offers good feedback, but I have a minor gripe with it. The steering mounted controls are not backlit and the mute/pause button is difficult to activate. Also, I have a feeling that drivers taller than six feet will feel that the steering wheel is a tad low, even when it's set at the topmost position for rake. 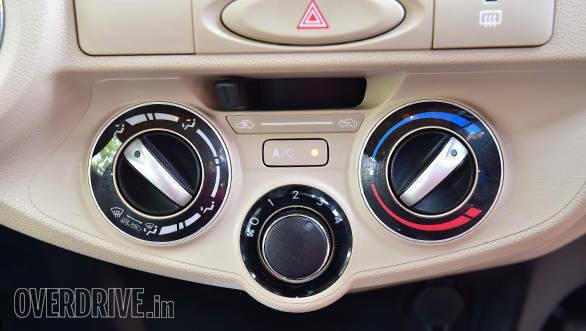 Toyota could have also provided automatic climate control which would have contributed to the premium appeal that it aims to bestow on the Etios. Also, the doors don't auto lock and one needs to press a button to lock all doors. And once you do that the doors won't unlock when you take the key out of the ignition, making you reach for the button again to unlock the car. 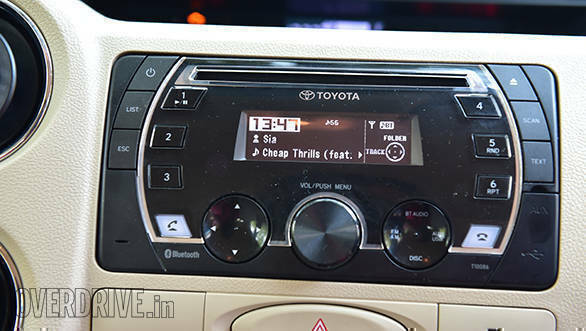 The Etios has always been a well-built sedan and the new Etios feels even better. The paint quality is good and the panel gaps are consistent. The interiors are also put together quite well and will stand the test of time. We put the car to 600+ kilometers of driving over various road surfaces but there were no rattles or squeaks around the cabin. 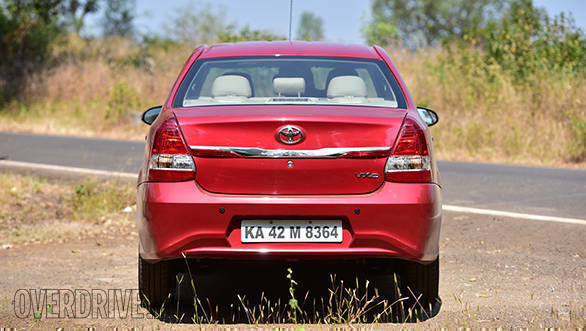 The Platinum Etios continues to use the same set of petrol and diesel motors . Our test car has the 1.4-litre D-4D diesel motor that produces 68 PS at 3,800rpm and 170Nm between 1,800 and 2,400rpm. As is evident from the figures, the torque that begins from bottom end of the rev range offers great drivability in the city. There was a point where I was in third gear, driving up an incline at 30kmph, and a gentle flex of the accelerator saw the car surge ahead without any protest from the engine. In our roll-on test (head to the table attached at the end for all figures) 20kmph to 80kmph in third gear was dispatched in 11.2 seconds. From standstill the car breaches the 100kmph mark in 14.1 seconds which is not bad for a family car. 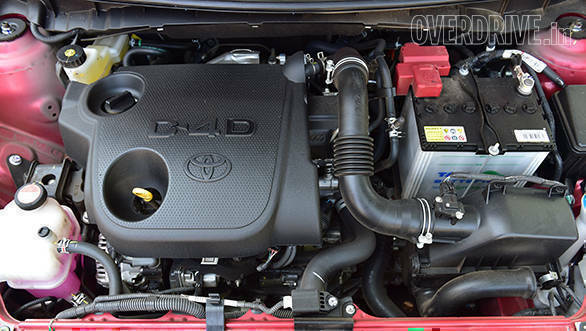 Toyota has done an amazing job of isolating the cabin from engine and road noise. NVH levels have improved by 7 per cent, is what they say. While the diesel clatter is audible on the outside, I could barely notice it inside the cabin, especially at highway speeds. It is a marked improvement over the previous car. 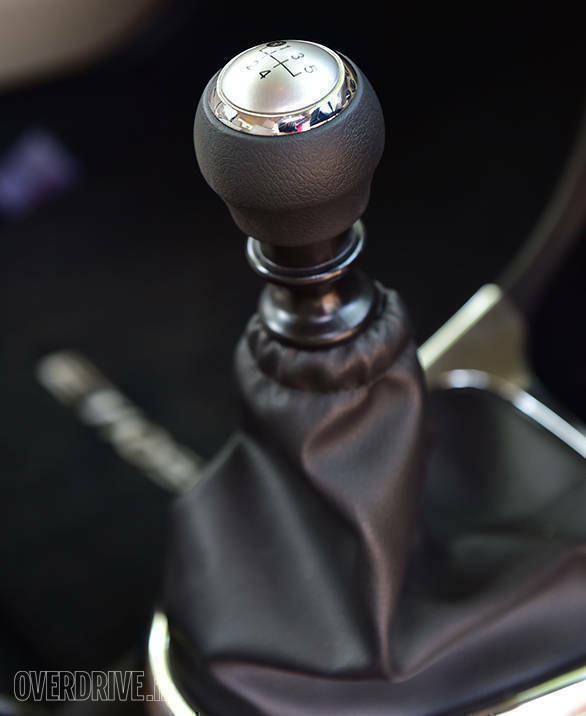 The slick gearbox shifts positively and I like the new gear knob that feels good to hold while shifting through the gates. The clutch is light for a diesel which makes it pretty easy to operate in stop-go traffic. 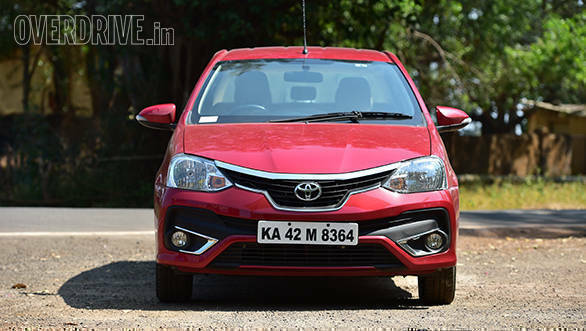 The Etios always had a good set of brakes and the one's in the Platinum are no different. The bite is sharp and there's good progression through the pedal. The car also comes to a dead halt from high speeds without any drama. . The diesel motor in the Etios is pretty frugal and we managed to squeeze out 16.7kmpl in the city and 19.4kmpl on the highway. For a car of its size, these are decent numbers. 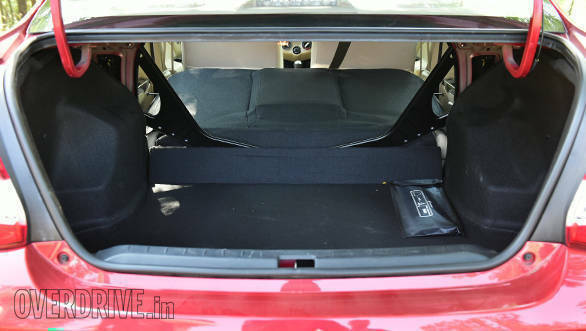 One of the biggest drawbacks of the suspension setup in the previous car was its tendency to sag when the car was fully loaded with occupants and luggage. Toyota has stiffened the suspension to address the issue and there is a noticeable difference to the old car. The low speed ride, as a result, is stiffer than before which means you do feel some of the undulations on the road. That said, the ride improves as speeds increase. The suspension also does a brilliant job of ironing out the bumps and ruts, however you do hear a loud thud when you crash into large potholes. The handling, just like the old car is predictable and there is decent feedback from the steering as mentioned before. It holds the intended line through a corner and mid-corner bumps do not unsettle the car. It's not an out an out sports sedan, something that people may infer from the Etios Racing Series that was held a few years ago, but it does the job and it does it rather well. In 2014, Toyota introduced airbags as standard across all variants. 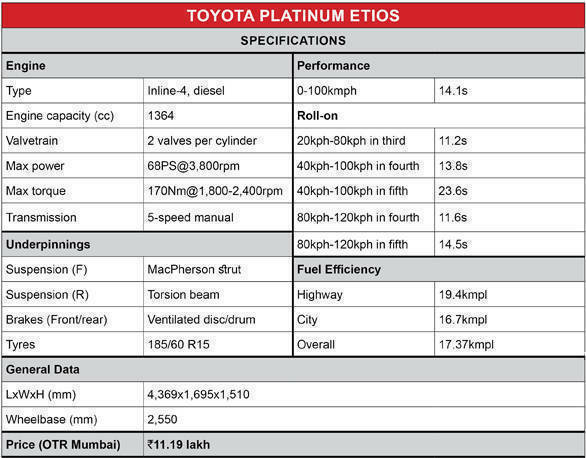 Now, along with that, all variants of the Etios Platinum gets ABS and EBD as standard. What's also commendable is the introduction of ISOFIX seats in all variants. ISOFIX is the international standard for attaching child seats in a car. Using an ISOFIX child seat to secure your child in the car offers unmatched safety in the event of a crash. Toyota also sells child seats as an accessory and we recommend you get one if you are ferrying a kid around. The Etios has scored a 4-star rating at the Global NCAP crash tests, which highlights the overall safety of the car. 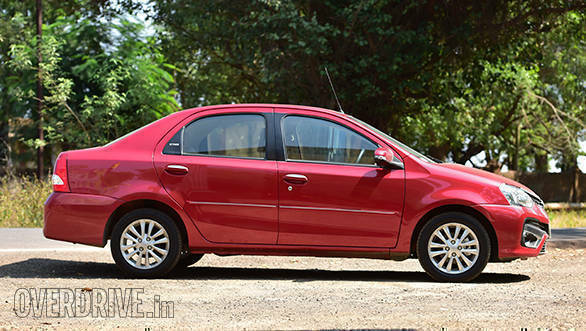 The Toyota Platinum Etios is what the original Etios should have been in its first iteration. The interior is better than the original, the styling has a bit of flair now and the improved NVH makes it a nice cabin to occupy. When you add the reliability factor that's synonymous with a Toyota, the Etios does make sense for somebody who is looking for a spacious, comfortable sedan with a large enough boot to easily accommodate luggage for a weekend trip. At 11.19 lakh (on-road Mumbai) for the VXD variant it costs a little more than a sub-four meter sedan, but you do get a lot more car for your money. 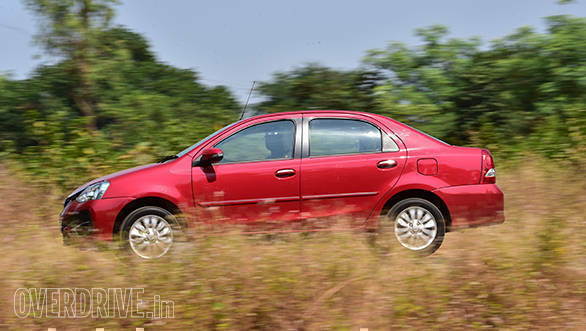 That said, the Etios finds itself in the midst of a few, very capable and better equipped sub four metre sedans like the Ford Figo Aspire as well as premium hatchbacks like the Maruti Suzuki Baleno. 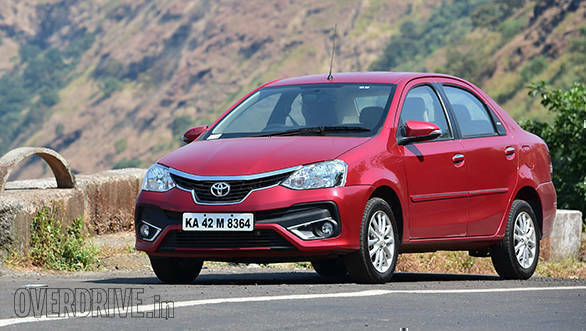 Should you then buy the Etios only for the boot and the space? That's a story for another day.